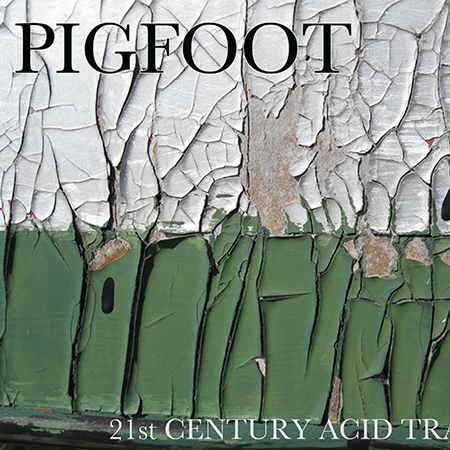 On last year’s debut album of twisted pop songs, improv, trad-jazz huffing and impish groove-bending, Pigfoot sounded like ideal reassurance for the jazz-suspicious – they were four knowledgeable and very skilful contemporary practitioners infectiously having a ball. The only reservation, then, was that they might be even more fun live, and the Vortex appearance of Loose Tubes trumpeter Chris Batchelor, pianist Liam Noble, tubist Oren Marshall and drummer Paul Clarvis certainly confirmed that. Pigfoot specialise in passing classic pop through their multi-idiomatic mangle while still sounding like affectionate fans of the originals, and the targets on this show were the Motown hits of Stevie Wonder, Marvin Gaye and the Supremes, reworked with a mixture of delicate poignancy and bumpy street-band nonchalance. As sought-after soloists with separate lives, they only rarely convene as Pigfoot, and in the early stages, Clarvis’s whimsical patterns and Marshall’s subterranean tuba hooks drifted a little waywardly in and out of the others’ range. But the drummer’s characteristic blend of old-school swing perkiness and unpredictable sidelong swerves, and Noble’s spirited fusion of driving chord work and fast free-jazz squalls ignited For Once in My Life. How Sweet it is to Be Loved By You roused Chris Batchelor’s signature blend of blues-infused early-jazz lyricism and a bright-toned vivacity invoking the brass styles of South African music. Reach Out And Touch was soulfully soft at the start and the close (Marshall’s low purrs sounded like the slurred notes of a string-bass player behind Batchelor’s whispering exhalations), with a passage of gripping dissonance in the middle. In the second half, Ain’t No Mountain High Enough sparked a stream of rhythmically punchy and melodically uninhibited improvisations from Noble, Marshall caressed a Stevie Wonder ballad with unexpectedly terse tenderness, and the band locked into a long and reflexively fast-moving stretch of conversational spontaneity on What’s Going On? There are rumours that the next Pigfoot setlist might be Elvis’s, which ought to advance the group’s growing credentials as a hot ticket for the festival circuit.